Radiant Life Care Pvt. Ltd, a hospital chain backed by private equity firm KKR & Co., will buy the entire 49.7% stake of South Africa-headquartered Life Healthcare Group Holdings Ltd in India's Max Healthcare Institute Ltd for 4.3 billion rand ($293 million). The development comes after Radiant failed to acquire Fortis Healthcare Ltd, India's second-largest hospital chain, this year following an aggressive bidding war that was eventually won by Malaysia’s IHH Healthcare. 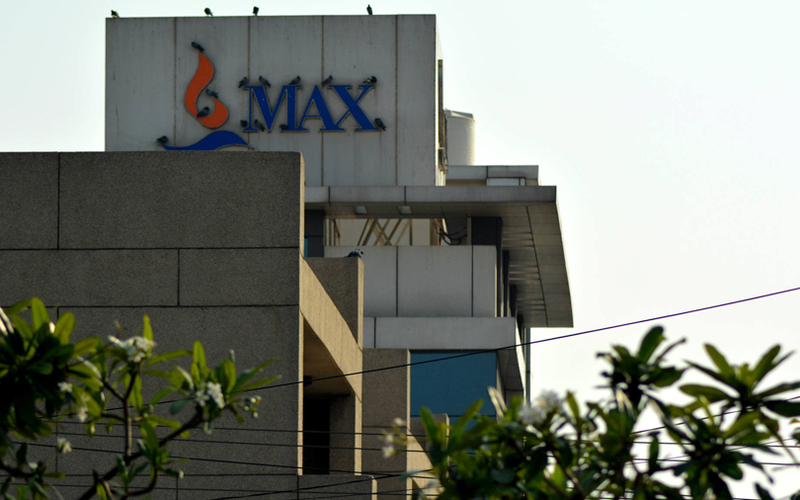 As part of the latest transaction, Radiant will acquire 266 million shares in Max Healthcare at Rs 80 per share, Max Healthcare's parent, Max India Ltd, said in a stock market disclosure. The deal is likely to be completed by the end of December. Life Healthcare will use the net proceeds to settle its debt and invest in growth opportunities, it said. The exit will enable Life Healthcare to focus on its core operations in South Africa, the UK, Poland and Western Europe. VCCircle had reported late last year that South African firm was looking to exit Max Healthcare and that it was interested in acquiring Fortis. Life Healthcare entered India in 2011 with its investment in Max Healthcare via an equal joint venture with Max India, which houses the healthcare businesses of Analjit Singh-promoted Max Group. The company, which has 14 hospitals across North India, competes with other large corporate hospital chains such as Apollo and Fortis. Life Healthcare's exit comes after another longtime investor in Max Healthcare, International Finance Corporation, had sold its entire stake in May last year. Less than a week after this, Max Healthcare had said it was exploring possibilities to fund the acquisition of the Delhi-based Saket City Hospital Pvt. Ltd from overseas markets and will raise $75 million from IFC via secured non-convertible debentures. The Indian hospital chain reported a 9% jump in gross revenue to Rs 2,787 crore in the financial year ended 31 March 2018, according to its annual report. However, its operating margin fell to 8.5% during the year from 11.4% the previous year, resulting in earnings before interest, tax, depreciation, and amortization (EBIDTA) of Rs 222 crore. It recorded a net loss of Rs 50 crore. The Delhi government's decision to cancel the licence of its Shalimar Bagh hospital in November last year disrupted the company's financials, it said. Various other factors also hurt the company, it added. "Some of these changes are structural and some one-offs and recovery is underway," the company said. KKR had agreed to acquire a 49% stake in Radiant Life Care for $200 million (Rs 1,288 crore) in July last year. At the time, KKR India CEO Sanjay Nayar had said Radiant had a unique opportunity to acquire assets during a time of industry consolidation. Hence, it did not come as surprise when it joined the bidding war for Fortis. Radiant started operations with the redevelopment of BLK Super Speciality Hospital in New Delhi in 2010. BLK is now being expanded into a 1,600-bed quaternary care hospital. Later, Radiant collaborated with the Nanavati Hospital Trust in 2014 to take over the operations of the 350-bed multi-specialty Nanavati hospital in Mumbai. The company plans to expand Nanavati into a 1,000-bed quaternary care institute over the next four years. India's healthcare industry has been a hotbed for private equity deals in the past years, and this is expected to get a push following the government's decision to roll out a national healthcare insurance scheme - Ayushman Bharat - that seeks to provide annual insurance coverage of Rs 500,000 to 10 crore families.